"PULL OVER!" Brian yelled as the patrol car pulled up alongside a man driving an ATV (All Terrain Vehicle). But the man ignored Brian. So while both vehicles were moving, "Brian reached out the patrol car window and lifted the guy right off his ATV!" This was typical of the many stories that friends told as Sheriff's deputies, fellow Airmen, family and friends gathered to remember my "little," 6'4" brother and to say their final good-bye. 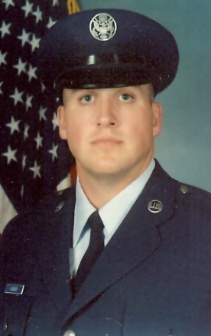 On 29 April 1995, Airman Brian Dale Webber and another Airman were helping a doctor at the Maxwell Air Force Base move when another car impacted them from the rear at about 105 m.p.h. Both vehicles spun across the road. Brian's truck skidded along a bridge railing, flipped over it, and landed on the rail bed 35 feet below. Both Airmen died quickly. Brian had just turned 29 two weeks earlier. One deputy with whom Brian had worked called him "the most bullet-proof guy" he knew as he tried to grasp his death. "Your son was one of the most kind and decent men I have ever known. Physically he was a giant of a man, but his soul was that of a child - a simple, good, honest person without any malice in his heart... I truly mean this - at first I couldn't believe it. I thought perhaps there has to be some reason - personal gain perhaps - but no. He would never ever publicize the good he did - he did it just to do it. As an example- one of our doctors was sent to Cuba for 3 months, away from his family on remote assignment. Brian was the only one (much to my shame) who even wrote to him - and sent him a big box of chocolates to help him through the bad times. Brian didn't tell anyone. The doctor did when he got back." Another friend commented that, "His kindness and gentleness was overwhelming and he touched the life of every person he met." After his Air Force supervisor had sorted through and inventoried all of his belongings, she commented that she was pleasantly surprised not to find any "secrets," save perhaps his collection of tobacco pipes. The stories and comments of his numerous friends affirmed that Brian had invested his life wisely before Father called him to come serve in His Heaven. But we will miss him. As I sat in the airport, I noticed people rushing here and there, apparently oblivious to those around them unless they happened to be in their way as they dashed from one flight to the next. They were consumed by where they were going in life, oblivious to their fellow travelers. As I stood in the supermarket line, I noticed tired people anxious just to get this chore of shopping done and to move onto their next chore or event. Mandatory courtesies were extended to others- unless they happened to delay the progress of the check-out line. Then restraint was exercised while curses were quietly muttered and their body language shouted disgust. I did not see others acknowledging those around them as people- more like obstacles. These three faces- my brother, the traveler, and the shopper - haunted me as I pondered the story Jesus told of the ruler who went on a trip and entrusted large sums of money to 3 men (Matthew 25:14f). The first and second man both doubled the monies with which they had been entrusted (possibly in high risk investments), thus greatly pleasing the ruler. But the third man did not even deposit the money in a secure bank to earn interest- he just buried it. This lack of action infuriated the ruler. The point Jesus was making was very clear- each of us will have to give an accounting of how we have invested- or wasted- the life and resources He has entrusted to us. How will Father judge you? Like my brother, the traveler, or the shopper? Will He be pleased with how you have invested your life? 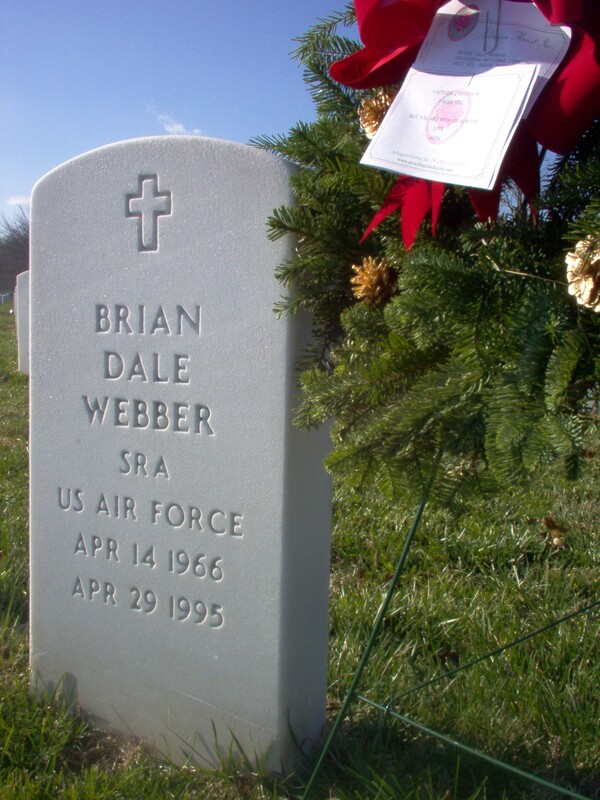 Senior Airman Webber was laid to rest with military honors in Section 60, Grave 3430, Arlington National Cemetery.